You can use API Gateway to create an API endpoint that is integrated with your VPC. You create an endpoint to your VPC by setting up a VPC link between your VPC and a Network Load Balancer (NLB), which is provided by Elastic Load Balancing. This feature is now available in US East (N. Virginia), US East (Ohio), US West (Oregon), US West (N. California), Canada (Central), South America (São Paulo), EU (Ireland), EU (Frankfurt), EU (London), Asia Pacific (Singapore), Asia Pacific (Tokyo), Asia Pacific (Sydney), Asia Pacific (Seoul), and Asia Pacific (Mumbai) AWS regions. This entry was posted in AWS, Cloud, Computer, Murmuring, Network, Security, Service, WWW and tagged amazon, api, aws, balancer, cloud, endpoint, gateway, integration, load, network, nlb, private, service, vpc on December 1, 2017 by Gea-Suan Lin. 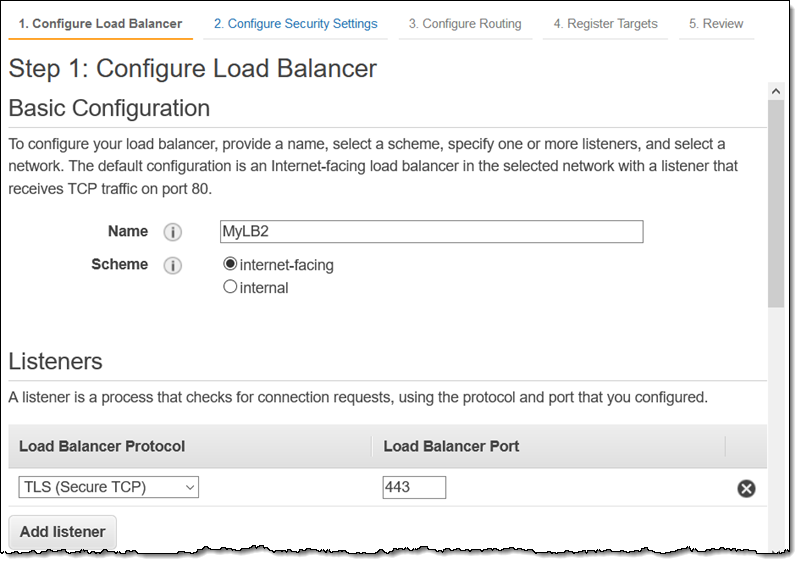 This entry was posted in AWS, Cloud, Computer, Murmuring, Network, Service, WWW and tagged amazon, aws, balancer, cloud, elb, load, network, nlb on September 10, 2017 by Gea-Suan Lin.